The ToneBug Overdrive is a masterpiece of simplicity, offering just the controls you need to give your sound the unmistakable warm edge that's the hallmark of every guitarist that's ever meant anything to rock and roll. You get a Gain control for setting the amount of overdrive, a Tone control for tuning the timbre of your gain, and Level for making sure your overall volume is right. It's neither more nor less than everything you need. What sets ToneBug Overdrive apart from other pedals out there is this: legendary T-Rex tone. It's the same tone that's made their top-end pedals such a huge success -- and a fixture on the pedal boards of a long list of guitar greats (see the T-Rex website for recent T-Rex sightings). 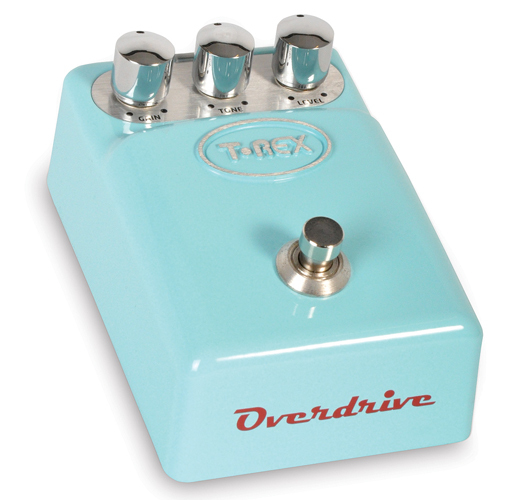 Try the ToneBug Overdrive today, and discover the sweetest vintage overdrive you'll ever hear.